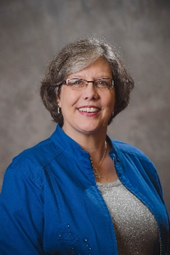 Diane Umstead has been working on behalf of children and families for 38 years and has experience in three different state early childhood systems (MD, AZ and NC). She currently serves as the Early Childhood Systems Director for the North Carolina Partnership for Children and Smart Start. Diane is a systems thinker with firsthand, grassroots community-building experience as a teacher, child care center director, and a senior director in tribal, rural and urban school readiness partnerships at both a state and local level. Diane is also a fellow in the Equity Leaders Action Network, a national group of early childhood leaders dedicated to a racially equitable early childhood system that is high quality and that ensures all children have an opportunity to develop and reach their full potential, without experiencing discrimination or bias. Ebonyse Mead joined NCPC in 2015, and brings a wealth of knowledge and experience in parenting education and family support. Ebonyse has over 15 years of experience working with families and young children birth to five in a variety of settings including child care, family service agencies, and public schools. Her primary experience has been in child development, parent education, and family life education. Ebonyse has worked with three evidence based home visiting programs including Healthy Families, Parents as Teachers, and Early Head Start, and has been trained in TouchPoints, Level 3 Triple P, and Nurturing Parenting Program. Ebonyse is currently pursuing doctoral studies in Early Childhood Education at Concordia University Chicago. She holds a Master of Science in Family Studies (2015) from Texas Woman’s University and a second Master’s degree (2007) from Concordia University Chicago in Human Service Counseling. She also completed a graduate certificate in Infant Toddler Mental Health from Arcadia University in 2012. Ebonyse is a Certified Family Life Educator through the National Council on Family Relations and a Qualified Professional Parent Educator through the North Carolina Parenting Education Network. Until now, Ebonyse serves as Family Support Program Officer at where she provided training, technical assistance and support to local Smart Start organizations.